At Affordable Family Storage in Omaha, we have to give credit to mason jars, because they are great storage solutions themselves! From dry goods such as flour and rice to wet goods such as pickles and jams, mason jars are an excellent way to safely store many things. 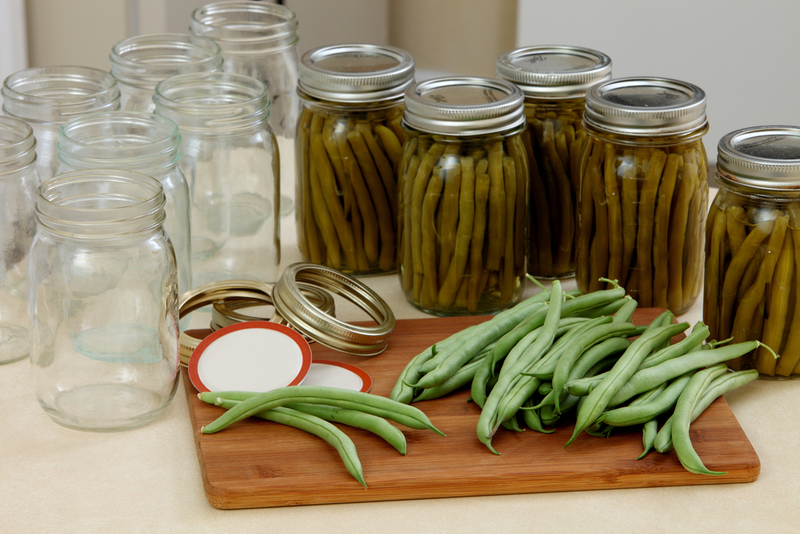 In today’s blog from Affordable Family Storage, we give some tips for storing mason jars. When storing food items in mason jars, it’s very important to keep track of time. When you seal the food items in the mason jars, mark each one with the date of seal and the expiration date. Different food items will last for different lengths of time, so make sure to keep track and use stored items while they are still fresh. Mason jars are a great way to store all sorts of things, but the jars themselves require careful packing and storing as well. Mason jars must be stored upright in a secure container, and they cannot be stacked directly on top of each other. It is recommended to separate each jar with packing material such as newspaper or bubble wrap. Your sturdy waterproof container should have a tight-fitting lid, but be sure it is not air-tight because that can cause condensation to develop. In order to preserve your mason jars and their contents for the maximum lifespan, it is important to manage light exposure. Your storage unit is a great place to keep your stored items out of sunlight. As long as you remember to turn off the lights when you close up your unit, your stored items will be well protected. Perhaps the most important factor in preserving mason jars and their contents is controlling temperature and humidity. Even when storing mason jars in the kitchen at home, it can be difficult to maintain a consistent temperature and low levels of humidity. At Affordable Family Storage, we offer state-of-the-art facilities, with climate controlled storage units that manage temperature, humidity, and air quality. With the right storage solutions, you can optimize your mason jar storage for maximum quality. At Affordable Family Storage, we make it our business to know all the details when it comes to storing any kind of item imaginable. From classic cars to mason jars, we have exceptional facilities, expert advice, and great customer service to meet whatever storage needs you might have. Contact our team today to discover how we can help.